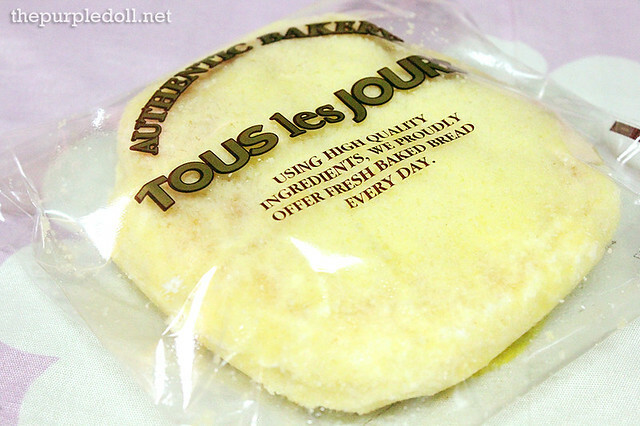 It was last year when I first discovered Tous Les Jours in SM North EDSA The Block. I had one of their beautiful cakes for my 21st birthday, and got some breads for the family. However, it wasn't until recently that I'm finally able to blog about their breads. You see, even before I try to take photos of these treats, most of the time they're already gone. Consider my family as a bread-gorging bunch, but we really enjoy munching them especially at night. That's why I had to be sneaky and take photos first of these treats I brought my family as pasalubong before I showed them the bag. 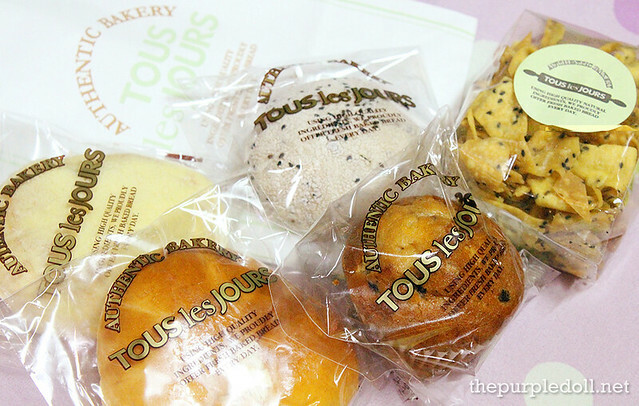 If you're not familiar with Tous Les Jours, it's actually a South Korean French-Asian bakery continuously gaining popularity in the Metro for their wide variety of breads and display of really pretty cakes. The Tous Les Jours store in SM North EDSA The Block looks so cozy and rustic with wood and bricks on walls. I wasn't able to take photos of the place though 'cause I was feeling a little conscious of what others might think. Even after over a year of blogging, I still don't have enough guts to take my camera out and snap a few shots with a lot of people around when I'm all alone. *sigh* Anyway, here are the breads I got. This Custard Cream Bread (P38) may not look like much, but my little sister loved it to bits. She said the bread itself was good enough -- soft, fluffy and quite tasty, but the custard cream filling inside made the treat even more special. Even as a not-so-big-fan of breads in general, she said she'd gladly take on another piece or two, or three of this. My dad on the other hand, had the Sweet Black Rice Bread (P48) -- a soft bread with black sesame seeds and confectionery sugar dusted on top. 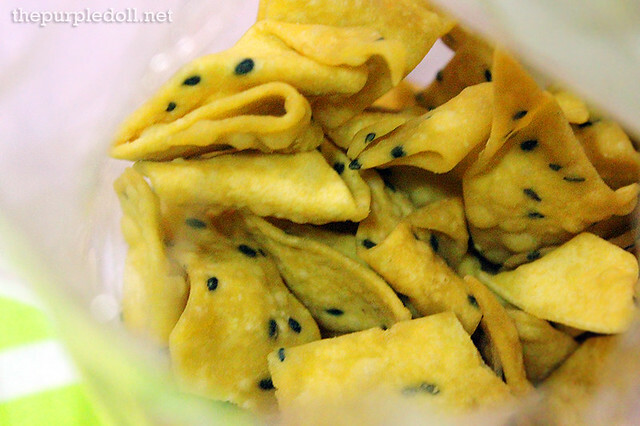 Inside, it's also filled with black sesame cream cheese which is slightly sweet, salty and has that distinct black sesame seed taste. My dad liked this bread as its simple and mellow taste fits his palate perfectly. I also got a bite off it and I can see myself getting a piece for myself next time. As for me, I indulged myself with the Sweet Potato Cream Bread (P48) -- something common in Korean and Japanese bakeries, but quite unusual in local stores. This super soft and creamy bread is made from fresh Korean sweet potatoes, and I can really feel the simple yet comforting taste of its main ingredient with every bite. It's generally mellow on the palate, so this might not be a good option for those who likes sweeter breads. I gave my mom the Blueberry Muffin (P68) since I think it fits her taste preference and personality perfectly. I wasn't able to personally sample her pastry though, but she said she liked it a lot. The muffin itself was soft, moist and very enjoyable to eat, and also has blueberry filling inside which added more sweetness and tang to the whole treat. I actually didn't plan to get the Pumpkin Chips (P68) but decided to grab it when I saw the display beside the checkout counter. I've always loved chips, may it be made from potatoes, sweet potatoes or even bananas. However, it was my first time to ever encounter chips made from pumpkin so I was definitely very excited to try it out. One thing I loved about these Pumpkin Chips is how interesting they look in the package. They were also very far from being greasy 'cause they seemed baked. However, even if they're crunchy and a healthy option for midnight munching, I found them a little overbearing for the taste buds after succeeding mouthfuls. They were quite dense in flavor as expected from pumpkin, but I'd gladly buy another pack again soon. I won't do the same mistake of trying to finish the whole thing in one sitting though. Even after several trips to Tous Les Jours in SM North EDSA The Block, their special breads and pastries still never fail to make our family happy. Every bread we had was good in its own right and priced reasonably. And with a lot more kinds of freshly-baked goodies in their store, there are other treats we'll surely take fancy. 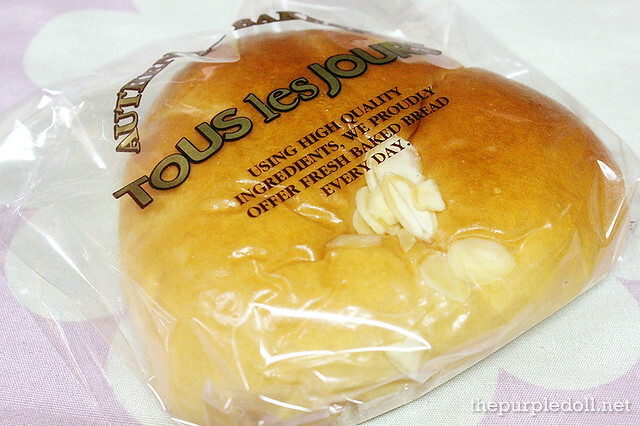 I guess it would really be fitting to say that Tous Les Jours had already become a staple in our humble home. I have been eyeing this place for quite sometime now. It's just I havent really encounter a blog post or review about it which I can really trust. Naks! Now you got this, I must go back there and get myself the 1st hand experience. mishu! Will be waiting for your feedback on TLJ's goodies ;) Mishu too sis! Its my staple if I'm trying to avoid the heavy rice meal. I think you'll find me in their store later today. Yummy breads, My first time to hear about this bakery. 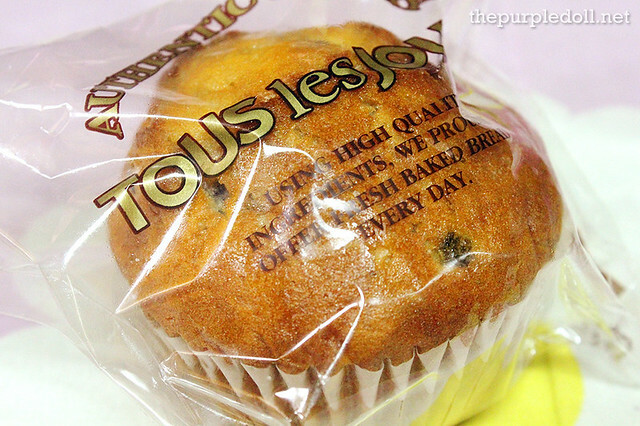 Promise, the next time I'm in SM North, I'll drop by Tous Les Jours and get my Sweet Black Rice Bread. Just one look at your post makes me want to horde as much bread from them and try their different breads. I want to try this bread,we have it here, yummy. For a Korean-Owned bakeshop, I would mistook it as a French-owned for its name. I hope they would open a shop here in Manila. TLJ's actually French-inspired ;) I think the nearest branch to Manila is their SM MOA store. I like the pumpkin chips, new to me. Their breads look tasty and creamy, want to eat these stuffs soon. TLJ has tofu chips as well! :D I'm actually planning to try those next time. I'll check this one out with my family on our nest day out. I am a bread lover myself. I am given a chance to be near SM North Edsa I will definitely try this place. I hope the brand expand to other malls. TLJ has several stores now actually :) They have one in SM Southmall, Mall of Asia, Ayala Alabang Town Center, Ayala Greenbelt 5 and Eastwood, aside from SM North. When I started following and commenting blogs especially like this niche, I come to know that there are a lot of food to eat and try. Just like this pumpkin chips. tried in Seoul, super yummy. fave ko their red bean walnut bun! I'll try their red bean walnut bread next time then! :D Thanks for the reco! Looks so delicious!. Best thing of all, they are quite not that expensive. this will be a whole new bread experience... never tasted most of them... considering your verdict, love to try them. Yahweh bless. The pumpkin chips looks delectable. Will try that after going to the gym at SM North. 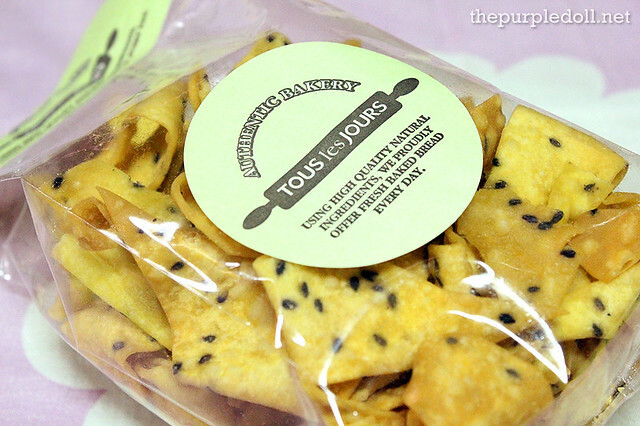 i am a fan of tous les jours!i saw this in one of the Korean novelas that i've watched(A Gentleman's Dignity). everytime i go to Alabang Town Center, i visit their store! Very interested to try out the pumpkin chips as this would be a healthy snacking item. And the sweet potato Cream bread looks so pillowy soft. Id love to try their Custard Cream bread and Blueberry Muffin. Im sure my beau would love this, he digs bread a lot! I don't get to go to SM North much but seeing the photos on this post (and I'm sure Tours Les Jours has lots more! ), I'll make it a must try when I go there! No idea if they will be opening other branches? They all look so yummy. I want to try them out, buti na lang they're near our place. Sweet potato and blueberry muffin are on my list!! Yay!! I will try their Pumpkin Chips the soonest! Free Coffee with McDonald's Hooray for Mondays!